With increased demand to this Southern Mexican paradise, flying to Huatulco is getting easier. There are generally two main gateways to the Huatulco international airport (HUX); through Houston from the US/Canada and Mexico City (D.F.) from Mexico. 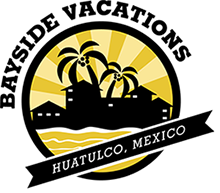 The other way into Huatulco is through direct charter flights (more info below). – Westjet Airlines: Three direct flights a week from Calgary (YYC). – Sunwing Airlines: It has direct flights on Tuesdays from Calgary (YYC) to Huatulco (HUX). 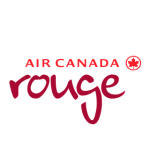 – Air Canada Rouge: Offers direct flights from Calgary (YYC) to Huatulco (HUX) during high season. – Air Transat: Fly weekly Mondays from Calgary (YYC) to Huatulco (HUX) in high season. – Aeromexico: Offers direct flights from Calgary (YYC) to Mexico City (MEX). – Westjet Airlines: It has two direct flights a week from Edmonton (YEG) to Huatulco (HUX) during high season. – Sunwing Airlines: Offers direct flights on Tuesdays from Edmonton (YEG) to Huatulco (HUX) in high season. – Air Transat: Offers weekly flights from Edmonton (YEG) to Huatulco (HUX) during high season. – Sunwing Airlines: Facilitate your visit to Huatulco with direct flights on Tuesdays from Montreal (YUG) to Huatulco (HUX) in high season. – Interjet: It has direct flights from Montreal (YUG) to Mexico City (MEX). – Sunwing Airlines: Flies directly to Huatulco (HUX) on Tuesdays in high season. 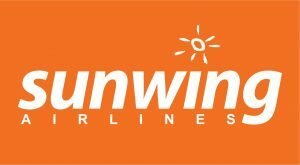 – Sunwing Airlines: Offers direct flights to Huatulco (HUX) from Saskatoon (YXE) during high season. – Westjet Airlines: Offers two direct flights a week to Huatulco (HUX). – Sunwing Airlines: Flies directly to Huatulco (HUX) on Tuesdays during high season. 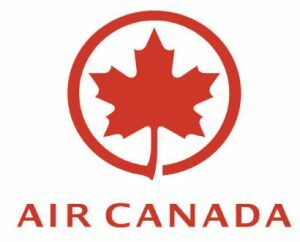 – Air Canada: Flies directly to Huatulco (HUX) on Tuesdays and Saturdays and has two daily flights from Toronto (YYZ) to Mexico City (MEX) during high season. It also offers direct flights to Houston (IAH) and from Houston you can fly to Huatulco (HUX) via Continental Airlines. – Air Canada Rouge: Offers a direct flight on Saturdays from Toronto (YYZ) to Huatulco (HUX) in high season. – Air Transat: Flies weekly on Fridays from Toronto (YYZ) to Huatulco (HUX) during high season. – Interjet: It has direct flights from Toronto (YYZ) to Mexico City (MEX). – Aeromexico: Flies to Mexico City (MEX) from Toronto (YYZ). – Westjet Airlines: It offers two direct flights a week from Vancouver (YVR) in high season. – Sunwing Airlines: Facilitate your visit to Huatulco with direct flights on Tuesdays from Vancouver (YVR) during high season. – Air Canada: Four daily flights from Vancouver (YVR) to Mexico City (MEX). 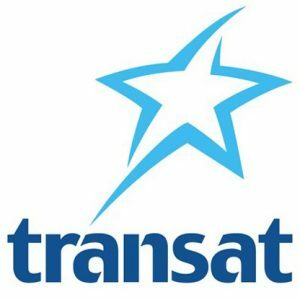 – Air Transat: Flies weekly on Monday from Vancouver (YVR) to Huatulco (HUX) in high season. – Interjet: It has direct flights from Vancouver (YVR) to Mexico City (MEX). – Aeromexico: Flies to Mexico City (MEX) from Vancouver (YVR). – Sunwing Airlines: Offers direct flights on Tuesdays from Victoria (YYJ) to Huatulco (HUX) in high season. – Sunwing Airlines: It has direct flights from Winnipeg (YWG) to Huatulco (HUX) on Tuesdays in high season. Click below and book your flight today! – Volaris: One direct flight per week from Tijuana (TIJ) to Huatulco (HUX). – Aeromexico: Offers direct flights to Mexico City (MEX). – Aeromexico: Offers one direct flight to Huatulco (HUX) and also to Mexico City (MEX). – Volaris: It has direct flights to Huatulco (HUX) from Chicago (MDW) every Saturday at 7:00 am. – Interjet: Offers flights from Fort Worth, Dallas (DFW) to Mexico City (MEX). 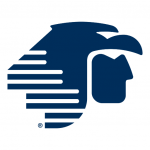 – Aeromexico: It has flights to Mexico City (MEX) from Dallas (DFW). – Interjet: It has direct flights to Mexico City (MEX). – Interjet: Flies direct from Las Vegas (LAS) to Mexico City (MEX). – Interjet: Flies direct from Los Angeles (LAX) to Mexico City (MEX). – Interjet: Flies direct from Miami (MIA) to Mexico City (MEX). 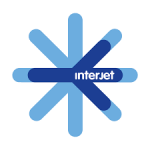 – Interjet: Flies direct from New York (JKF) to Mexico City (MEX). – Interjet: Fly direct from Sanford, Orlando (SFB) to Mexico City (MEX). – Interjet: Flies direct from San Antonio (SAT) to Mexico City (MEX). – Interjet: It is our favorite airline in Mexico and the one with the most flights from Mexico City (MEX) to Huatulco (HUX). They do not appear on Expedia or other travel search websites, but depending on the season they can fly 2 to 4 times a day, which allows them to reach Huatulco in these cities on the same day. Interjet offers free drinks on the flight and receives our likes! – Aeromexico: It has direct flights from Mexico City (MEX) to Huatulco (HUX) every day from 8:00 am. – Volaris: Flies from Mexico City (MEX), to Huatulco (HUX) every day; one flight a day and usually departs after 2:00 p.m.
– VivaAerobus: The lowest cost airline, flies from Mexico City (MEX) to Huatulco (HUX) and Puerto Escondido (PXM) every day. – Magnicharters: Flies directly from Mexico City (MEX) to Huatulco (HUX) every day except Tuesday. 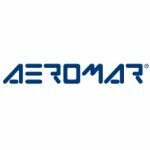 – AeroMar: Flies from Mexico City (MEX) to Puerto Escondido (PMX) and to Oaxaca City (OAX). – Volaris: Flies from Guadalajara (GDL) direct to Huatulco (HUX) on Monday and Thursday and soon a new air route will open to Puerto Escondido (PXM). – Volaris: It has flights from Monterrey (MTY) direct to Huatulco (HUX) on Wednesdays and Saturdays. 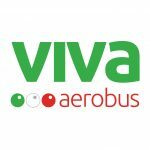 – VivaAerobus: Flies direct from Monterrey (MTY) to Huatulco (HUX) on Wednesdays and Saturdays. 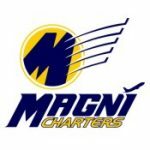 – Magnicharters: It has two flights a week on Wednesdays and Saturdays from Monterrey (MTY) to Huatulco (HUX). – TAR Airlines: Flies from Oaxaca City (OAX) to Huatulco (HUX) on Mondays, Tuesdays and Sundays. 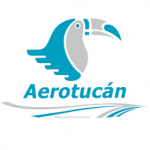 – Aerotucan: Flies from Oaxaca City (OAX) to Huatulco (HUX) in high and low season, only 40 minutes of flight! – TAR Airlines: Flies direct from Queretaro (QRO) to Huatulco (HUX) on Mondays, Thursdays, Fridays and Sundays and stop at Oaxaca City (OAX) on Wednesdays and Saturdays. Want more info? Check out our insider flight tips Part I and Part II for additional flight information to Huatulco. After flying to Huatulco and arriving in paradise, the taxi has to be the easiest and most cost effective way to get around. There are so many taxis that you don’t have to worry about going to a taxi stand. Simply standing at the side of the road where you are and waiving for a taxi should be sufficient…and you won’t have to wait long. All taxi rates are set in advance based on distance and most local trips should cost you anywhere between $20-$50 pesos. Once you start to stray outside the immediate town expect to barter with your driver on the cost to take you to a destination. Hertz – certainly a well know rental company, they have friendly English speaking staff. Their rates are less expensive however I would like to see the company pay a little more attention to detail and the condition of their vehicles. It is certainly an option but I would consider it a second option. Please contact Angeles Monterrubio at: 958 103 5396 or email: amonterrubio@avasa.com.mx Blvd. The address is: Benito Juarez Num.8, Local 1 Int. Europcar – located at the Crown Pacific Bahia de Tangolunda. Visit www.europcar.com.mx. We are happy to offer airport transportation with our professional driver. We offer airport sign with guest name(s), safe transport to your destination point and luggage service to your accommodation. Contact us for details. There are really multiple levels of buses along the entire coastline but the one that most people will be interested in are the trans-regional buses. 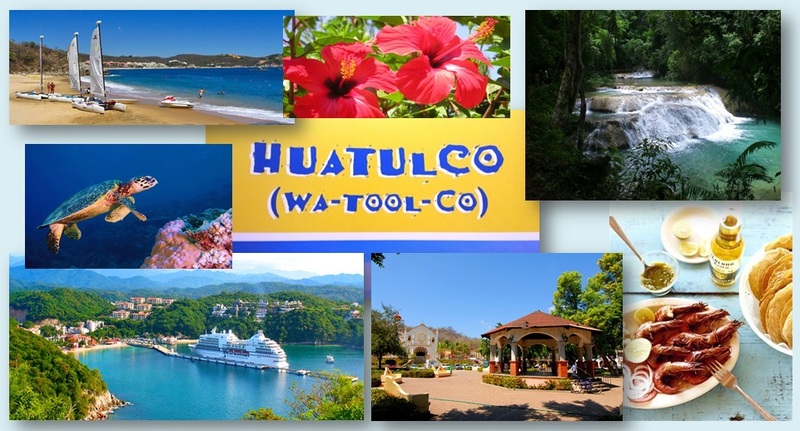 The Ado station in Huatulco is the launching point for your journeys to the east or west of Huatulco. These buses are usually very clean with comfortable seats and are consistent with what we would have in Canada or the United States. The fees are very reasonable, and if you don’t mind a couple of extra stops before you reach your ultimte destination, then this is a great way to do it on the cheap. A bus from Huatulco to Puerto Escondido will set you back about $80 pesos.